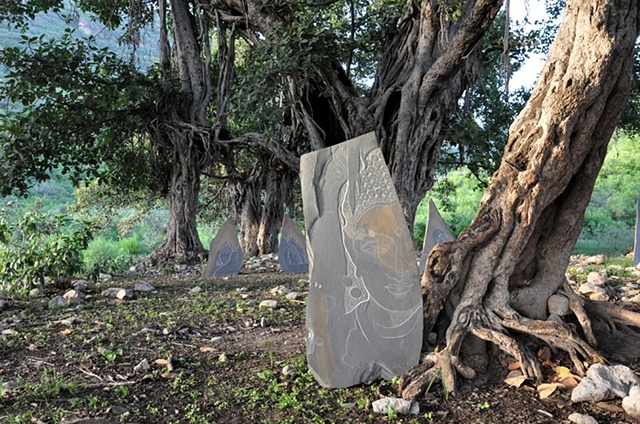 I love taking my sculptural pieces and photographing them under the divine banyan trees I discovered for my book 'Gimpses into Islamabad's Soul'. Here they are displayed under the divine banyan tree called 'Maa teh nau bachey' or mother and nine children. It is a single tree with ten trunks.